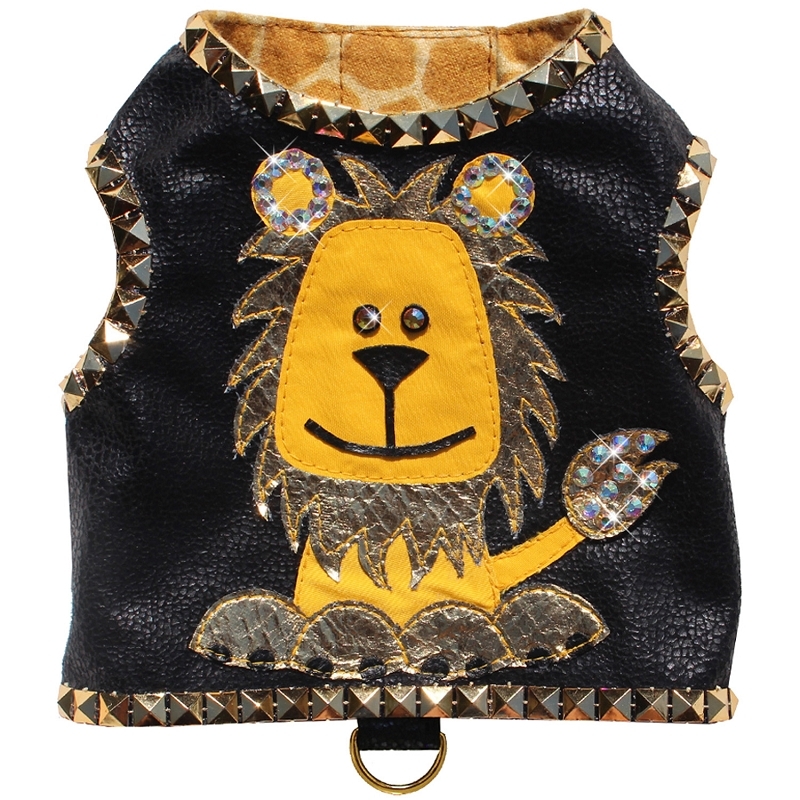 This playful and luxurious dog harness is made from black caviar alova microsuede and lined with soft and cozy giraffe skin flannel. 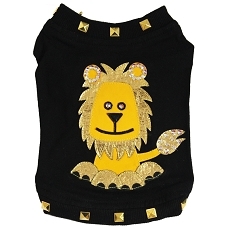 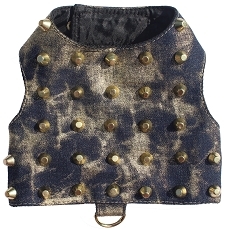 It is outlined in gold studded trim that sparkles in the sunlight as your furbaby strolls thru the park. 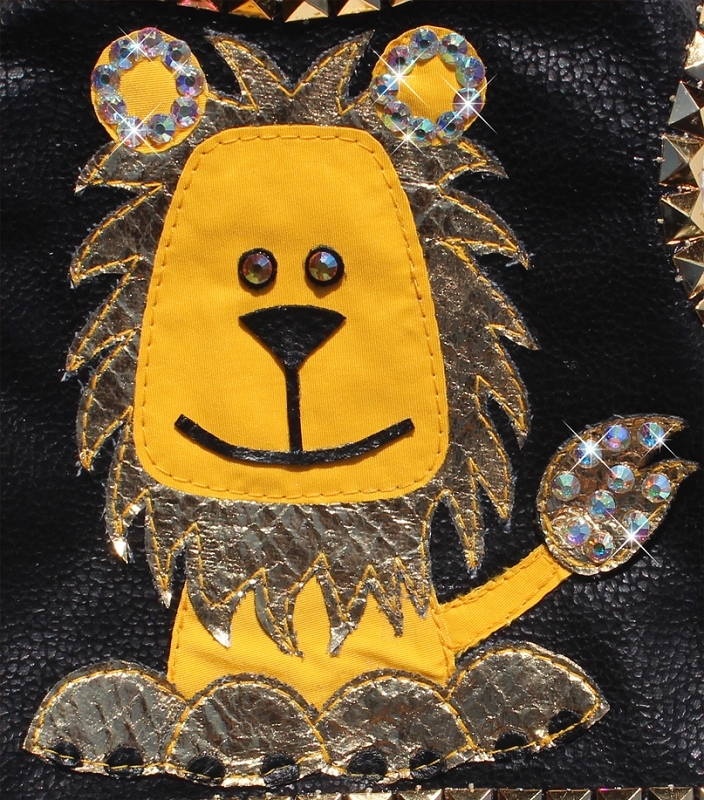 The lion design is created from metallic gold faux leather and yellow nylon all cutout by hand and appliqued onto the harness. 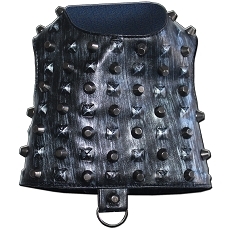 Embellishments are created with hand glued AB Swarovski crystals. 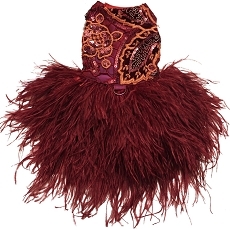 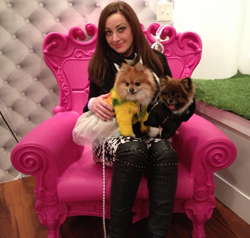 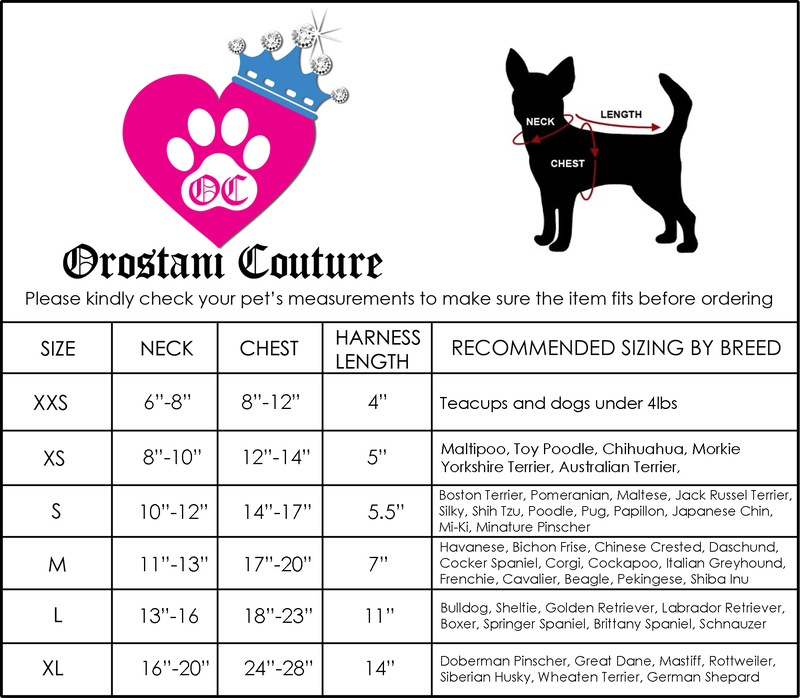 All Orostani Couture designs are custom made to order in the USA.